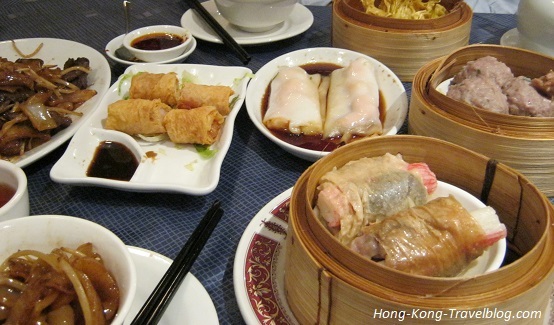 Most tourists would not leave the city without trying Hong Kong Dim Sum. I guess you must have heard about it or even try it somewhere else. So, what is Dim Sum? Literally, it means ‘touch your heart’. The word ‘Dim Sum’ has been used since the Tang Dynasty (AD 618––907). Dim Sum is not just a side dish, it is a general term of over 100 items. I am sure you can find something you love. Having Dim Sum in restaurants is known as ‘yum cha’ in Cantonese, which literally means ‘drinking tea.’ It is because we always have tea and dim sum together. It is very common for Cantonese people to go yum cha on family days as brunch or lunch. Dim Sum can roughly be divided into savory and dessert, and the majority of dishes are hot. Dim Sum is usually cooked by steaming, frying or deep-fried. Most steamed dishes are served in bamboo containers. The serving sizes of Dim Sum are usually three or four pieces in one dish. We usually order different kinds of food and share the dishes with each other. Additionally, we usually don’t eat it alone as a meal, we often order some fried rice or fried noodles. The most popular Dim Sum in the city are Har Gow and Siu Mai (shrimp and pork dumplings), Char Siu Bao (BBQ pork buns) and Cheung Fen (a thin roll of rice flour served with soy sauce). You may also want to try Egg Tart – one of the favourite snacks of the former Governor of Hong Kong, Chris Patten. Now, it’s time to treat yourself with the mouthwatering Dim Sum. In case you don’t know where to try them, have a look at the below restaurants. Maxim’s Chinese Restaurant – one of the local’s favorite restaurants, and also the largest restaurant chain in Hong Kong. 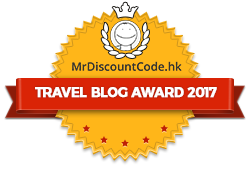 Tim Ho Wan – Michelin Star Dim Sum in Hong Kong. Let us know your favorite restaurants and Dim Sum! Thanks for your comments. I’ll try to do so.